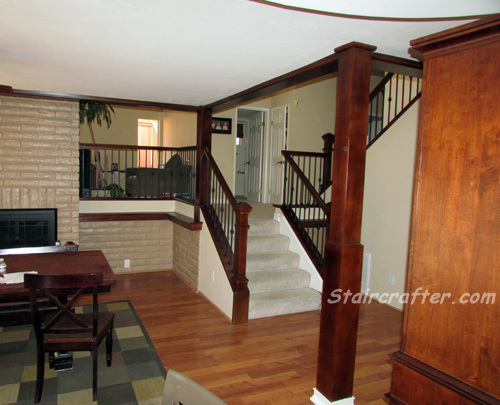 This home stairway remodel project entailed removed the old outdated stairway and railing. 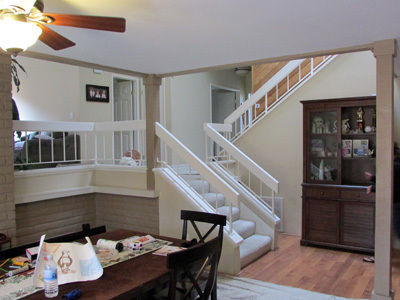 We installed new wooden handrails and newel posts staining them to match the color of the current woodwork. Next we installed decorative iron balusters in a simple elegance pattern of single knuckles and square bar pickets.